Despite all the hype around anti-vaxxers, most under-vaccinated Aussies aren't kids. Only one in two Australian adults are taking advantage of the Government's free vaccinations. Anti-vaxxer parents make headlines for refusing to immunise their children, but a new study shows another at-risk group has far lower vaccination rates. Just half of eligible Australian adults receive the Government-funded vaccinations each year, a report published Monday in the Medical Journal of Australia shows. That's 3.8 million people being put at risk of life-threatening diseases that are almost entirely preventable. By comparison, around 37,000 children are registered as unvaccinated due to parents' conscientious objections. Lead author of the study and Senior Lecturer at UNSW VIRL, Dr Rob Menzies, wants the focus of vaccinations to shift towards all Australians, not just children. Non-immunised children form a very small proportion of under-vaccinated Australians." "Despite media and political noise surrounding vaccine-hesitant parents, in the broader scheme of things, non-immunised children form a very small proportion of under-vaccinated Australians," Dr Menzies said. Ann, who lives in Adelaide, was a fit and healthy 68-year-old when she caught pneumonia five years ago. "I caught it from my husband, who had chronic obstructive pulmonary disease," she told the Huffington Post Australia. "I was hospitalised for six days and it was quite serious. I couldn't look after him and I couldn't look after myself." While both Ann and her husband recovered, many do not. Pneumonia accounted for over 2,500 deaths in Australia in 2012 -- yet only 30 per cent of those aged 65 to 70 have been immunised. Now, Ann has a health plan with her doctor, who keeps her up-to-date with all her vaccinations, and she is urging others to do the same. "Pneumonia doesn't discriminate," she said. 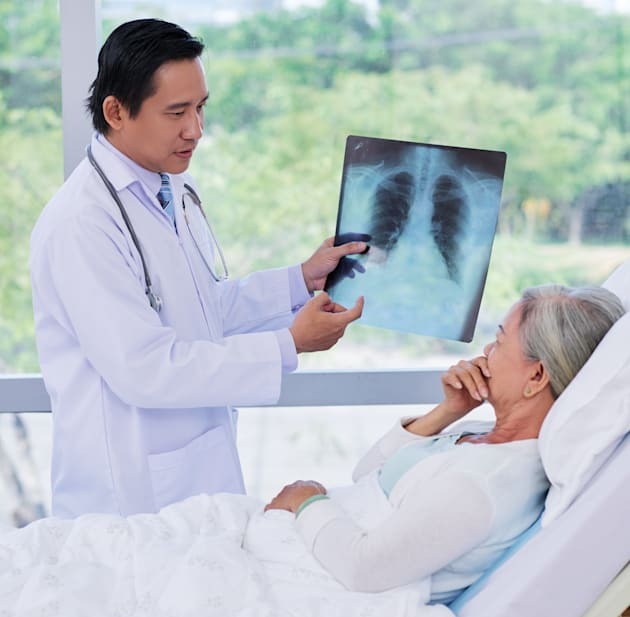 Pneumococcal Pneumonia (the only type of pneumonia you can be immunised against) is a bacterial infection which causes the air sacs in the lungs to fill with pus and fluid, making breathing difficult. A new national research institute is hoping to raise awareness of the importance of adult vaccinations. The UNSW Vaccine and Infection Research Lab (VIRL) launched on Monday. It hopes to reduce the immunisation gap between adults and infants through research, teaching and advocacy. "Vaccination rates are significantly higher among infants versus their grandparents, despite the availability of free vaccines for both groups," the Head of VIRL said. "This demonstrates the lower value that society places on keeping older Australians healthy." "Being sick costs the economy – being hospitalised cripples it. Each year, Australia accrues tens of millions of dollars on vaccine-preventable hospitalisations. Vaccines should be seen as an investment, rather than a cost." Dr Rob Menzies encourages anyone unsure of what they should be getting immunised for to visit the Immunise Australia website. "And if you're still not sure, go and see your GP," he told the Huffington Post Australia. 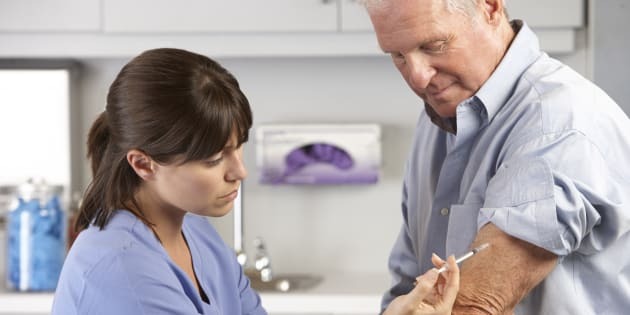 In particular, women planning a pregnancy, Indigenous Australians, those with chronic illness such as diabetes or heart disease, and older Australians are being urged to check that all their vaccinations are up-to-date. Other vaccines you may need include: measles, mumps, rubella, HPV, hepatitis A, meningococcal disease, chickenpox. Check with your doctor if you're unsure.